Blood and Whisky: IT'S OUT!!!! ABE SAPIEN-THE DROWNING #1 is out! Go get it! Hey Jason...i love this issue...i cannot wait for issue #2..your Abe looks cool! And oh how sweet it is. I picked that mother up asap and the only disappointment is having to wait another month for more. Great issue... fantastic art. Would love to see it in black and white... just to see the line art by itself. Good Job. You is my hero. 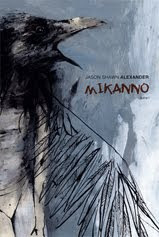 Jason Shawn Alexander (B. 1975) Painter and draftsman from Tennessee, currently resides and works in Los Angeles, California. Though modern in its subject matter, Alexander’s work pulls, still, from the vulnerability, fear, and underlying strength that come from his rural upbringing. Much like good Delta Blues, his work maintains a sense of pain and passion which steers Alexander away from the standard “isms” that, in his words, “tend to muddy up what’s really important”. The result is something heartbreakingly genuine. More musing, ideas, concepts and sketches. 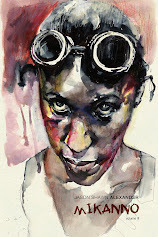 100 drawings from coffee shop doodles to life drawing studies to concepts for new works. The first in a series of sketchbooks. 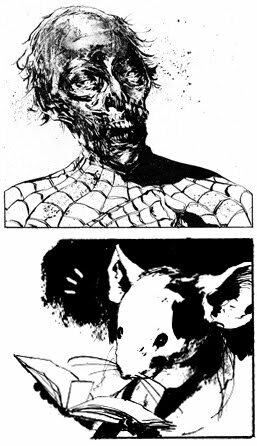 Marvel Zombies and Mouseguard pages!